Choose the Age of Discovery free online slot play if you like stories about great sea voyages and brave explorers. This video slot with 5 reels and 25 paylines is the creation of Microgaming company. There you can play one bonus game and enjoy awards from special symbols. The maximum win in the Age of Discovery game is 60 000 coins. Microgaming free online casino slot games no download no registration have the great popularity among gamblers. We can explain this by their high-quality graphics and realistic sound effects as well as big winning chances. The Age of Discovery slot can satisfy both your sight and gambling senses. The Gold Coin is the Wild and the jackpot symbol of this game, which can also substitute for all non-special symbols. 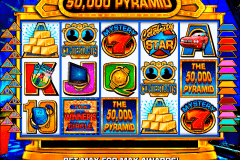 The Ship in the form of Dragon plays the role of the Scatter icon in this casino game. Collect these Dragon Ships and multiply your line stakes from 2x to 80x. The Age of Discovery slot belongs to free online pokie games with bonus rounds. The Treasure Bonus of this slot will definitely bring you some wins. To start playing it, you should get at least three Compass symbols. Then you will see the map of the world with different destinations. You should click on them to get prizes. The image of the skull and bones will stop this round. 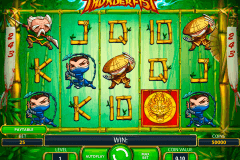 However, all, who play online slots for free, can get a lot of fun from this bonus game. Under the sea sounds of the Age of Discovery online slot you can explore oceans in searches of great treasures. 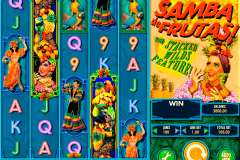 On the reels of this Microgaming slot machine you will see ships, gold coins, compasses, coats of arms, instruments and five different fruit symbols. You can also find the Age of Discovery among Microgaming mobile phone video slots and enjoy its gameplay through your mobile devices. Gather your courage for dangerous, but rewarding sea voyages in the Age of Discovery slot machine from Microgaming and have a nice money gambling time in one of the online casinos in New Zealand.